Company Law Club // What information must a company send to Companies House? Details of directors (name, any former name, date of birth, nationality, occupation, both a service address and usual residential address). If there are any corporate directors, their registration details. Statement of capital, showing details of the class, nominal amount, number allotted, amount paid up (including any premium), aggregate issued share capital, rights attached to the shares. change its accounting reference date (AA01). The above are just examples. From 1.10.2009 many new forms were introduced. There are many more forms than previously and most are more complex than their predecessors. 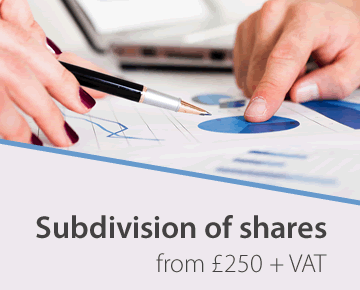 A full list of forms is available on the Companies House website, with a download facility. Some forms, but not all, can be filed electronically using the Companies House Webfiling service. If the company makes any alteration to its articles a copy of the whole document as altered must be registered. From 1st. 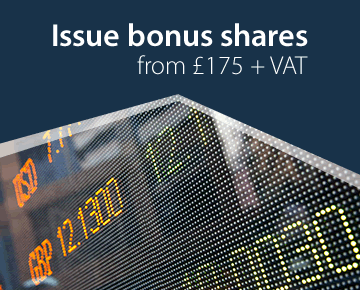 October 2009, directors' details provided to Companies House and to be entered on the company's own register of directors will include both a 'service address' and usual residential address. In most circumstances the service address is the only one to be kept available to the public at Companies House and in the company's statutory registers. For more details click here. Each year the company must file at Companies House a confirmation statement. Most companies do this electronically (with a fee of £13) or by completing and signing a paper form CS01 (fee £40). The confirmation statement states much of the information currently on file at Companies House (registered office, directors, shareholders, PSC information, industry classification, etc). It serves two purposes: (1) it prompts the company to bring any information which has changed up to date; (2) it makes searching the file at Companies House easier. It is only necessary for most purposes to go back to the last annual return and note any changes registered since that date. The confirmation statement replaced the annual return, which served much the same purpose, from 30 June 2016. 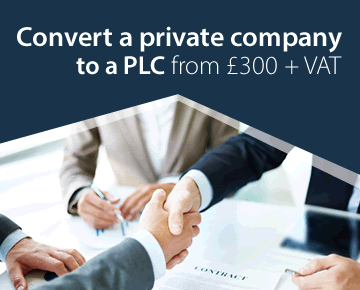 All limited companies have to file annual accounts. The bigger companies have to file full accounts comprising a balance sheet, profit and loss account, directors' report and auditors report. Small and medium sized companies can send 'modified accounts', containing less detail. Apart from the disclosure requirements at Companies House, all companies must maintain a set of statutory registers which are also public documents and may be inspected by any member of the public. By sec94 and Schedule 5 of the Small Business, Enterprise and Employment Act 2015 the Companies Act 2006 is amended to give private companies the option of keeping certain information on the register kept by Companies House instead of keeping it on their own statutory registers. The expected implementation date is April 2016. The information registered by a company at Companies House is on the public record and available to anyone who wants to see it. Some of the information is free, but some requires payment of a fee.